Versatile options for your project. 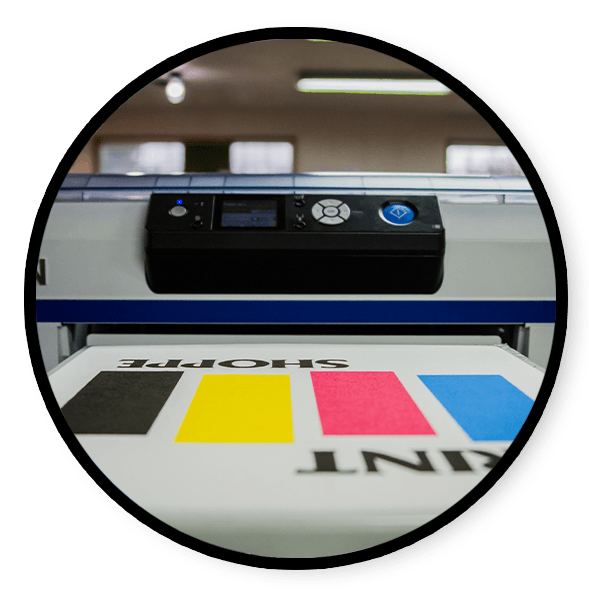 We offer many different printing methods to create your ideal shirt at a good price. Tell us what you need and we can recommend the best method. We are the local professionals. We do it in house and stand by our product. You can trust us to get it right and to tell you when it might not be the right method for you. It’s best for higher quantities and lower number of colors. 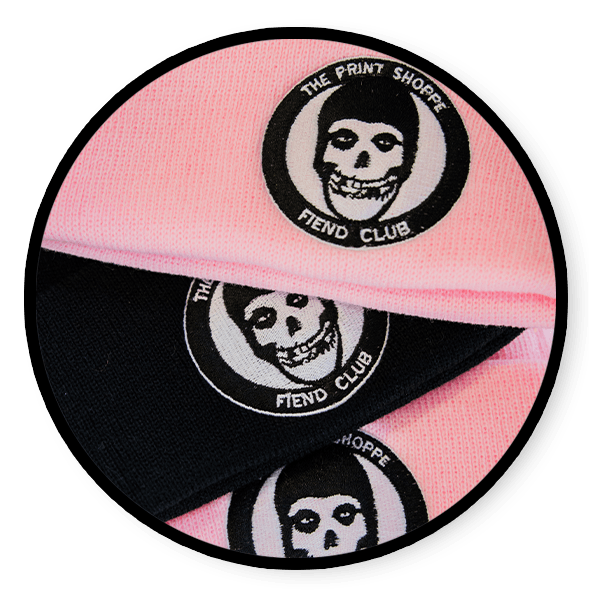 This method is a cost effective alternative to screen printing or when screen printing will not work. Ideal when you need low quantities of a shirt or or you need each piece individualized. Perfect for a little league base ball jersey. Heat sealed vinyl is full color and can produce any design with clarity. Also, it is cost effective low quantities. Here are the two main reasons we recommend this method. 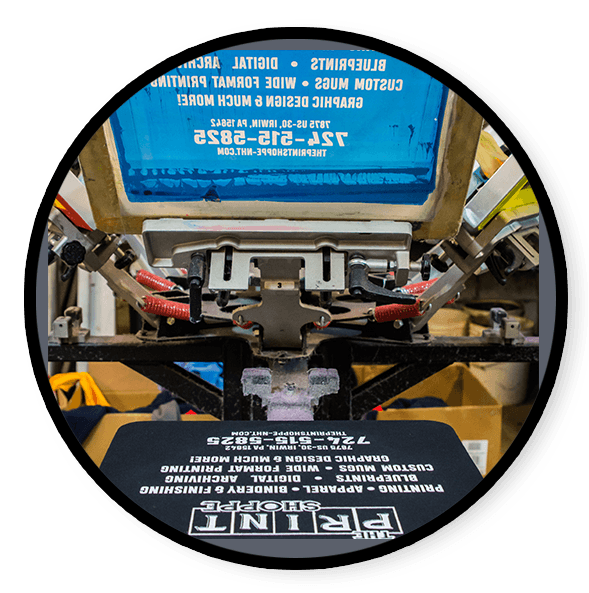 Priced out screen printing with several colors and had sticker shock by how expensive screen printing can get. If you wanted a shirt with a detailed design and found out it couldn’t be done. When appearance really matter nothing is more professional looking than embroidery. It is more expensive than the others so it’s typically done on hats and polos. We can embroider t-shirts and other apparel. 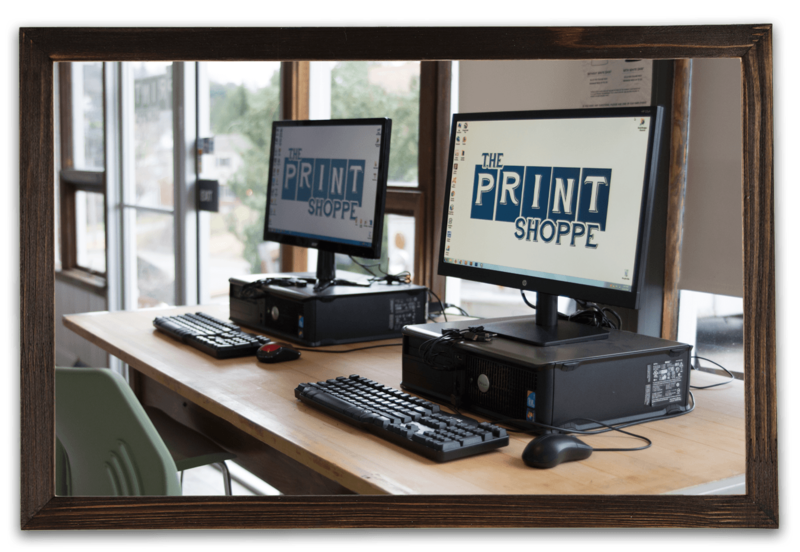 Here at The Print Shoppe we have 2 Do-It-Yourself kiosks set up for your convenience. Have an idea that you’d like to make happen yourself? 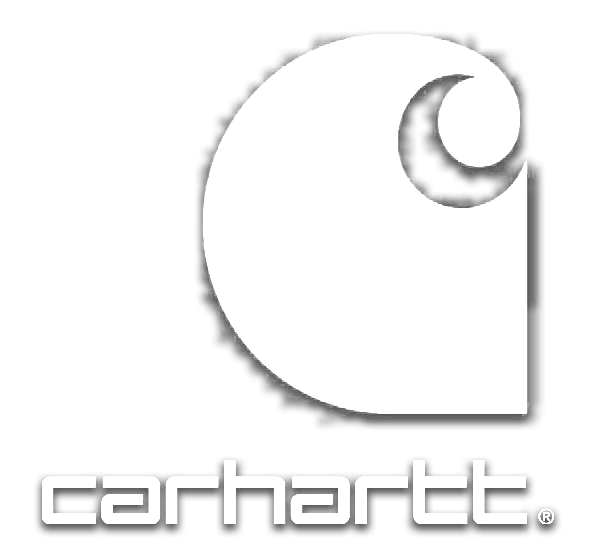 Stop in during our regular business hours and design your own apparel. The easy to use software is great for children and adults. Bring in your own photos, logos or design work. The staff will be available to help walk you through the process. Yes, we have 6 in house graphic designers that are very qualified to provide you a great looking design. Graphic design service is charged at $45.00 per hour. Contact us today for a quote on your custom art needs. Can I have youth sizes and adult sizes in the same order? 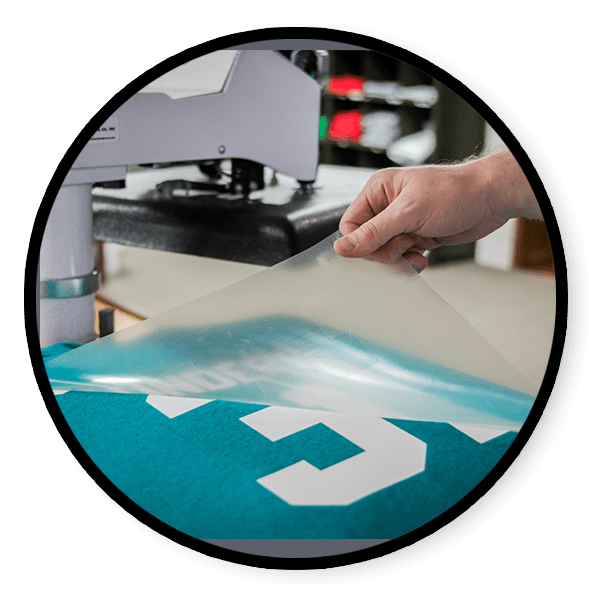 Yes, we can screen print on both sizes within the order but the image can only be as large as the smallest shirt. For example, if your order contains youth small – adult 3XL the image will be very large on the youth and small for the 3XL. If you would like 2 different image sizes the order will be separated. This is not an issue with DTG or heat transfer vinyl, the artwork will be sized appropriately according the shirt size. Definitely. Please provide your artwork as a vector file (AI, EPS or PDF). Can I mix and match garment colors within a job? Yes, you can mix and match garment colors as long as the ink color stays the same. If you need an ink change there will be a $20.00 charge. Where should I send my file?